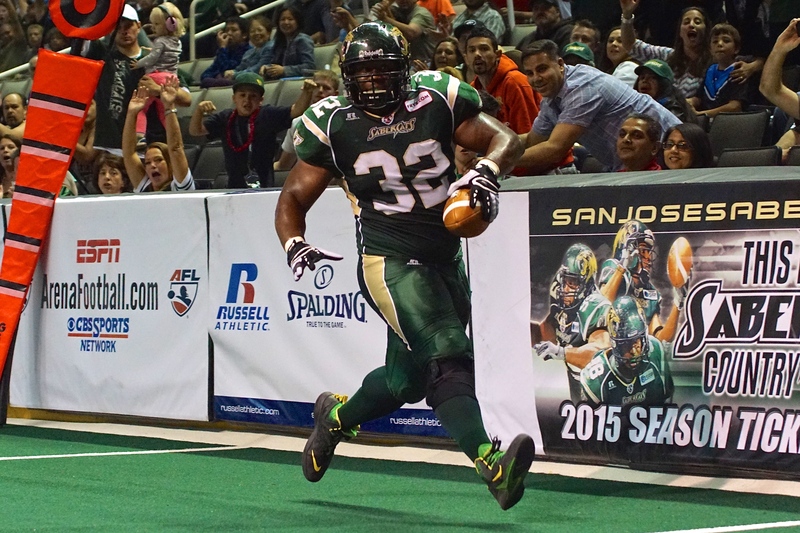 SAN JOSE – The San Jose SaberCats (1-0) moved on to the National Conference Championship game, with a 55-28 victory over the Portland Thunder (0-1) on Friday night at the SAP Center. The tenacious SaberCat defense, which forced 45 turnovers in the regular season struck again, as Jered Perry caught a pass from Kyle Rowley but was stripped by Ken Fontenette and the fumble was recovered by David Hyland. 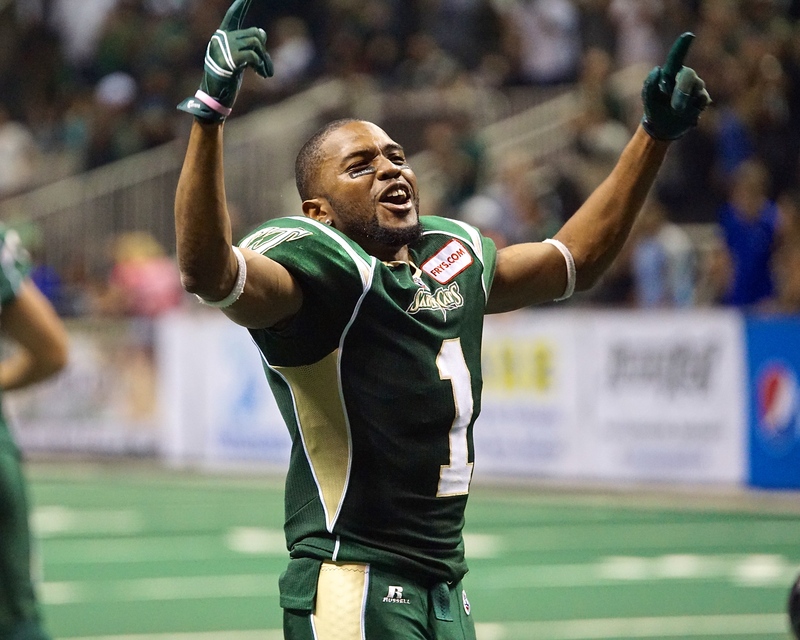 Fontenette, who led the Arena Football League in tackles this season (146.5), finished with 9.5 tackles and an interception. Capitalizing on the turnover, San Jose scored on a four-yard touchdown pass from Erik Meyer to Maurice Purify, getting on the board first with an early, 7-0 lead. With fourth down stops by each team, Portland regained possession in the second quarter, evening the score at 7-7, behind a 33-yard pass from Rowley to Jamar Howard. Howard led the Thunder with eight receptions for 87 yards and two touchdowns. 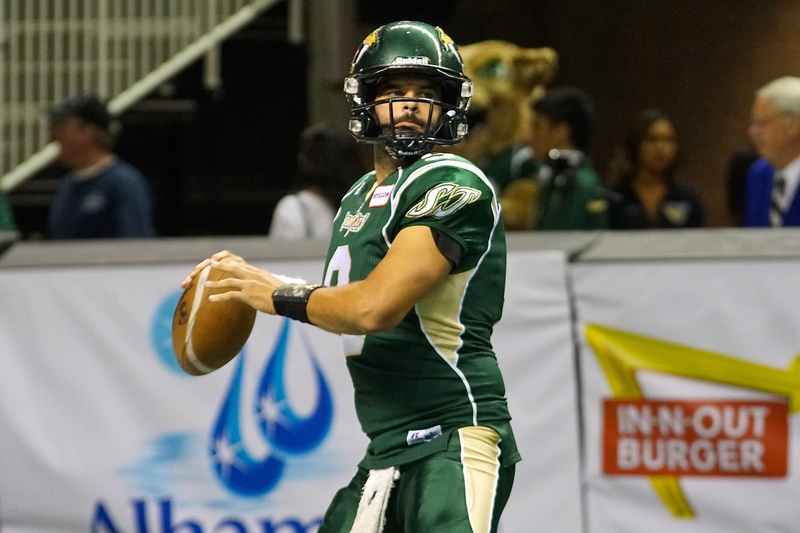 The SaberCats immediately regained the lead at 14-7, when Meyer threw a beautiful touch pass to the back corner of the end zone for the veteran Ben Nelson, who hauled in the pass as he crashed into the boards for the 22-yard touchdown reception. Meyer completed 20-of-36 for 215 yards and six total touchdowns. For the third consecutive game, David Hyland had an interception, this time reading the eyes of Rowley as he roamed the middle of the defense. 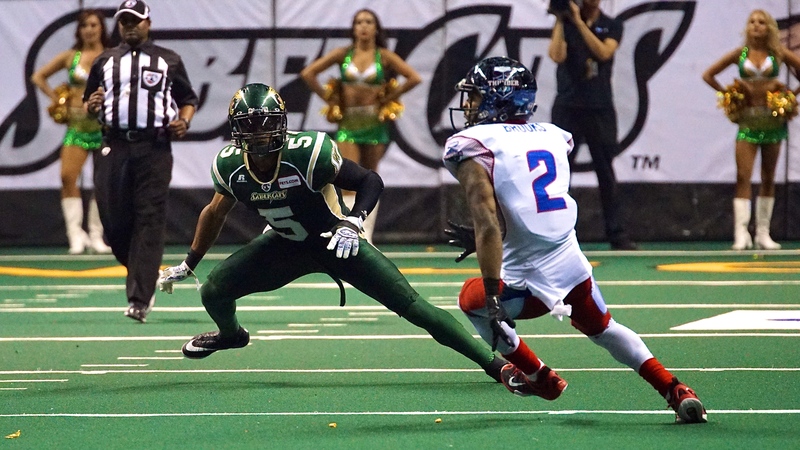 The turnover set up the SaberCats with ample field position to capitalize, with a four-yard touchdown reception by Reggie Gray, as the lead swelled to 21-7. 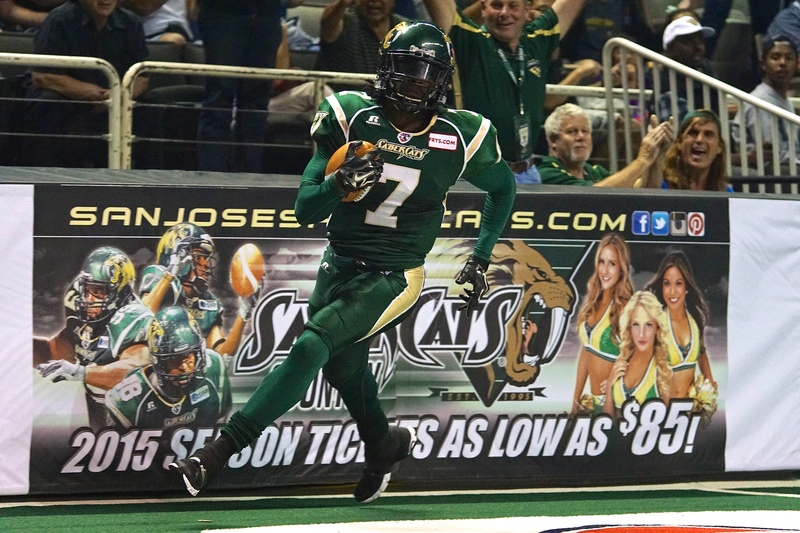 The SaberCats would end the first half with another touchdown reception by Gray, this time for 16-yards, propelling San Jose to a 28-7 halftime lead over Portland. 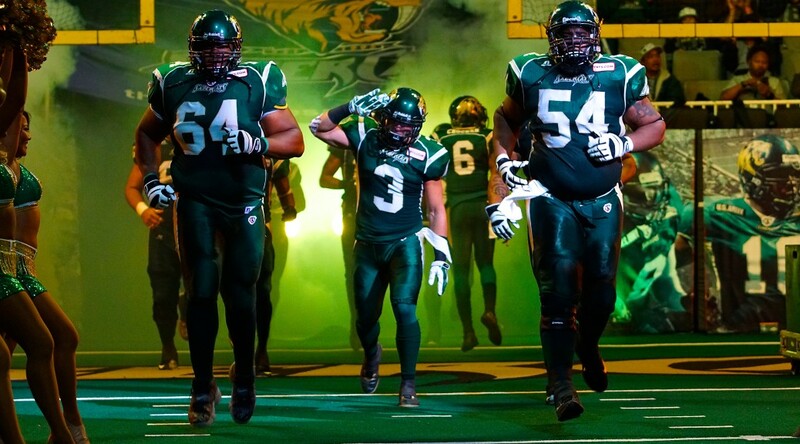 SaberCats’ five yard line. Looking to score on fourth down, Rowley was sacked by Francis Maka, the team’s leader in sacks this season (11). Fighting to extend its season, the Thunder would force a fumble from a Rich Ranglin screen pass, converting with a two-yard pass from Rowley to Howard to bring Portland with reach at 35-21. 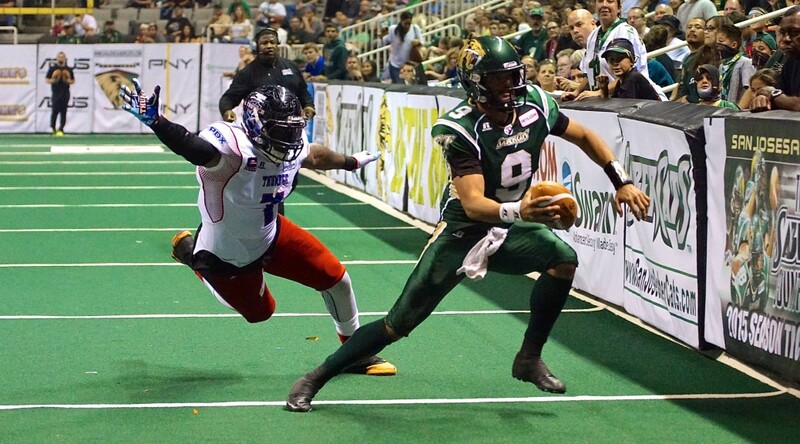 Just as the Thunder drew within striking distance, Gray returned the kickoff for a 57-yard touchdown, extending the SaberCats lead to 41-21 as the third quarter came to an end. 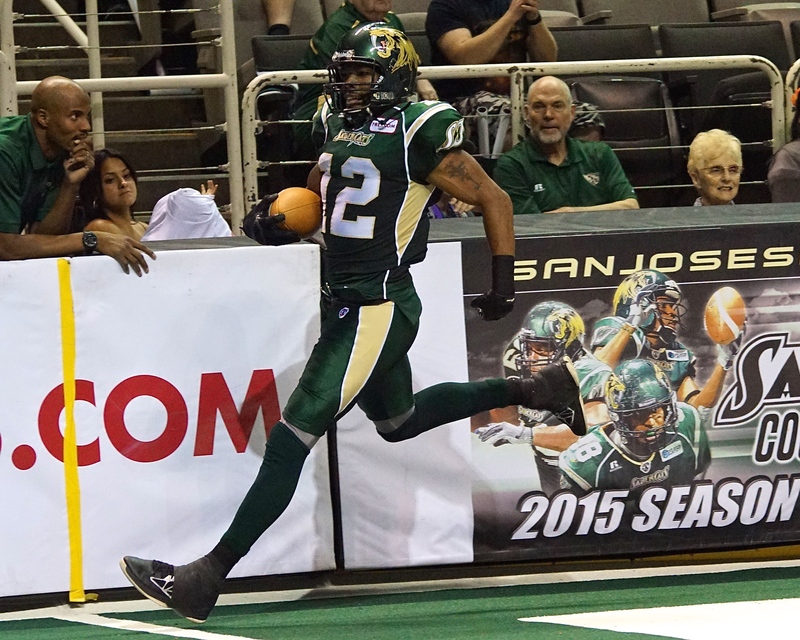 Gray, AFL regular season leader in receptions and touchdowns, had four receptions for 36 yards and three total touchdowns. 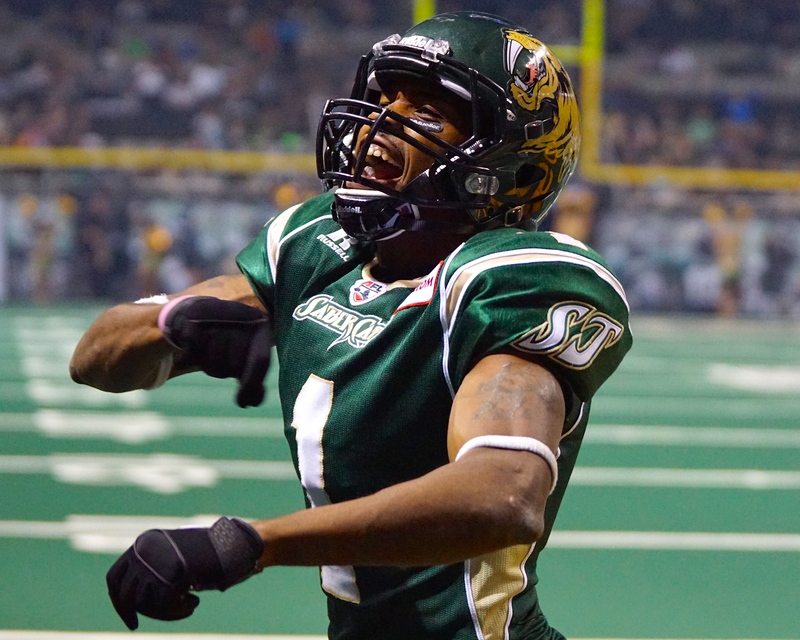 Scoring six total touchdowns last week against the LA KISS in the regular season finale, Purify put on an encore performance, leading the SaberCats with 81 yards on seven receptions. Meyer opened the fourth with a nine-yard scamper to pay dirt, and with less than a minute remaining Odie Armstrong added another touchdown on the ground, putting the finishing touches on the victory. 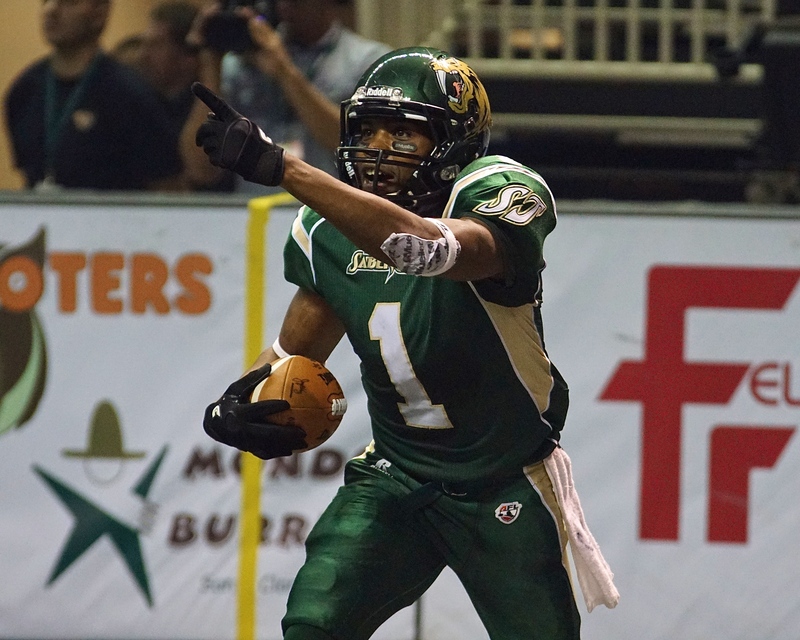 Up next for the SaberCats is a second consecutive trip to the National Conference Championship, facing the winner of the Arizona Rattlers and Spokane Shock game. The National Conference Championship game will be played at the Stockton Arena on Saturday, August 22. 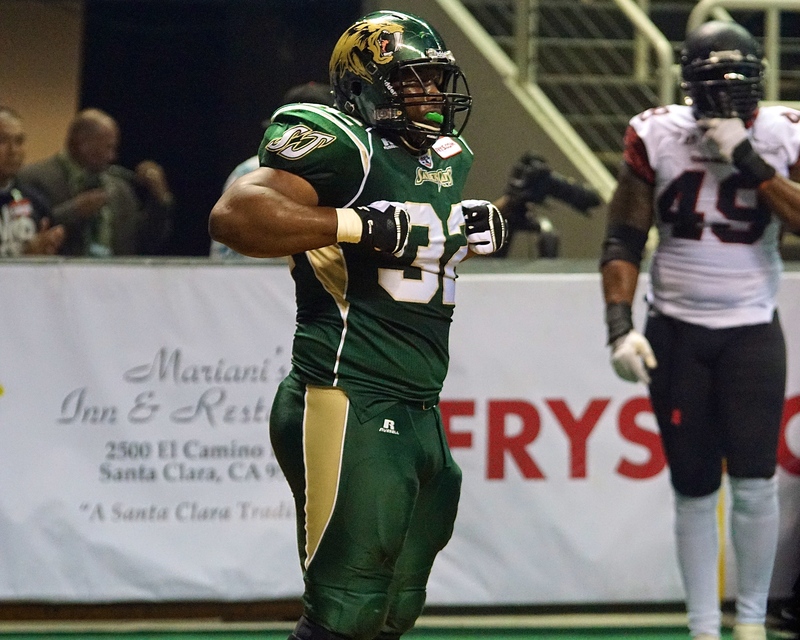 SAN JOSE – The San Jose SaberCats (15-1, 5-0) grinded out a, 55-49 overtime thriller over the Portland Thunder (4-11, 1-4) on a record setting night Saturday. 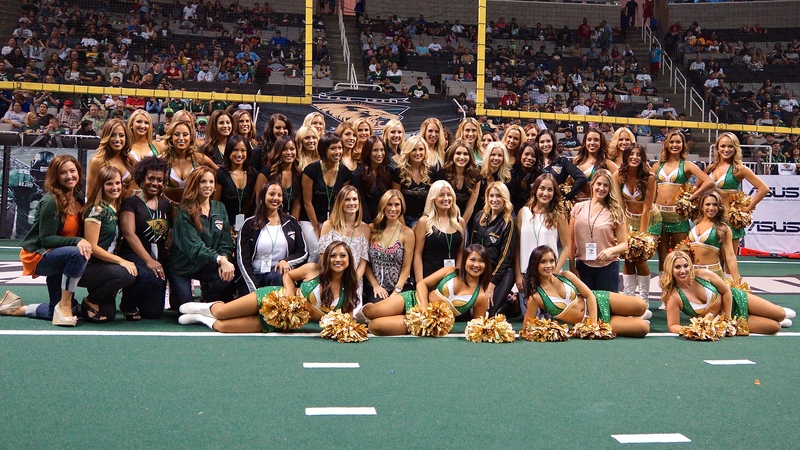 The SaberCats came back from a 20-point first half deficit, outscoring the Thunder 34-15 in the second half and overtime to remain undefeated in the Pacific Division. Trailing 49-41 halfway through the fourth quarter, Portland scored on a six-yard touchdown pass from Kyle Rowley to V’Keon Lacey and successfully completed the two-point conversion on a two-yard pass from Rowley to Duane Brooks, tying the game at 49-49. With 3:04 remaining, San Jose took over for its final drive, as quarterback Erik Meyer orchestrated an eight-play drive, setting up a potential game-winning field goal. Lined up 27-yards away with just one second remaining, SaberCats’ kicker Nich Pertuit had his kick blocked by Frank Trotter, forcing overtime. 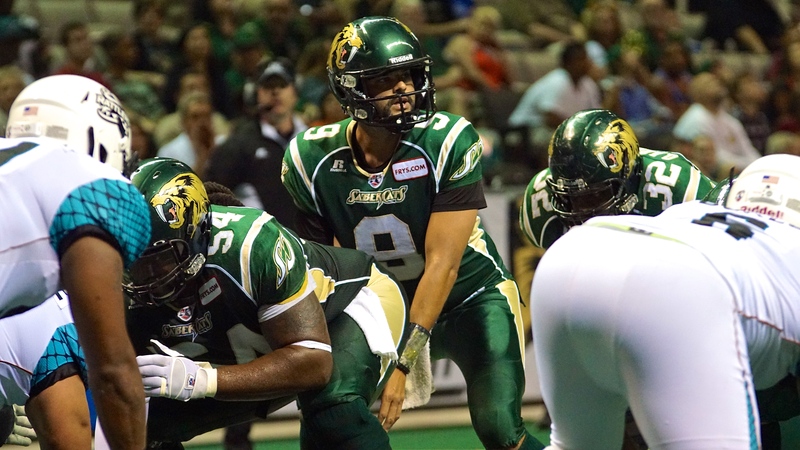 In their second home overtime outing of the season, the SaberCats received the ball first. On the drive, Meyer completed six passes to three different receivers; with Ben Nelson hauling in the four-yard go ahead touchdown, giving San Jose a 55-49 lead, despite missing the point after try. 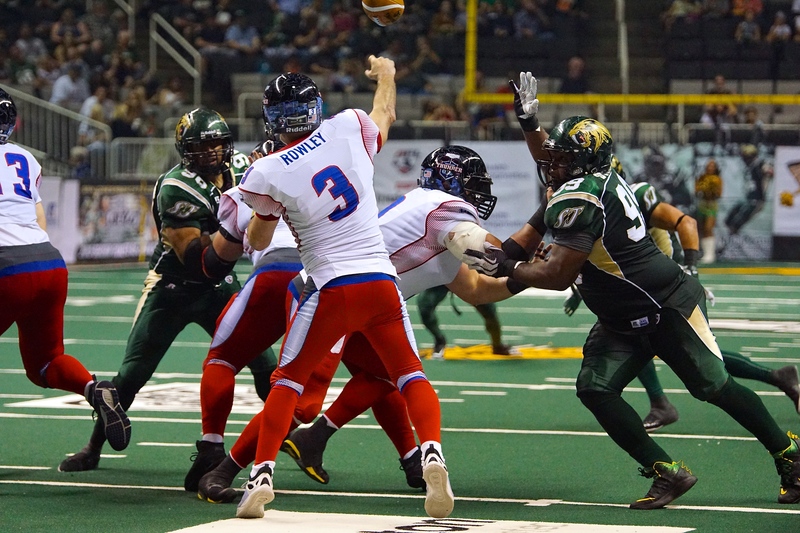 With a chance to equalize, the Thunder moved the ball down to the SaberCats’ five yard line, but was stopped on fourth down with an incomplete pass from Rowley, intended for Lacey and sealed the win for San Jose. “The guys kept their composure, they continued to fight and they got the win,” said Owner and Head Coach Darren Arbet. Portland opened the game with an 11-yard touchdown reception by Jared Perry to jump out to an early 6-0 lead. On the ensuing drive, Thunder defensive back De’Mon Glanton would strip Darius Reynolds and recover the fumble, setting up Rowley for a 13-yard touchdown pass to Lacey, making it a 13-0 lead with 8:51 remaining in the first quarter. Portland would regain possession after forcing a San Jose turnover on downs, leading to a 4-yard touchdown by Lacey, giving the Thunder a 20-0 lead after the first quarter. 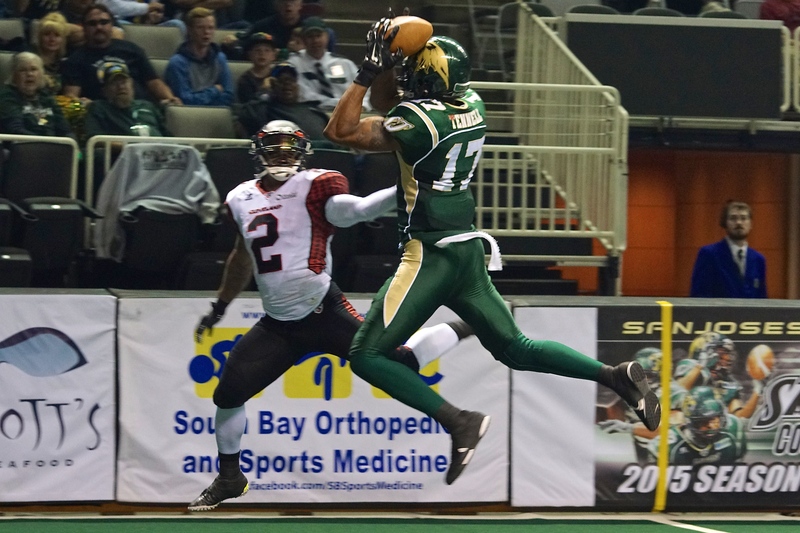 Lacey led the Thunder with four touchdowns, adding seven receptions and 63 yards receiving. With a routine 9-yard reception in the first quarter, Reggie Gray broke Rodney White’s all-time franchise record of 134 receptions in a season. Gray had a team-high 14 receptions 130 yards four touchdowns. After the slow first quarter, The SaberCats would awaken in the second frame, getting on the board with a 25-yard touchdown pass from Erik Meyer to Gray in the corner of the end zone, taking a big hit but hanging on; cutting the lead to 20-7. 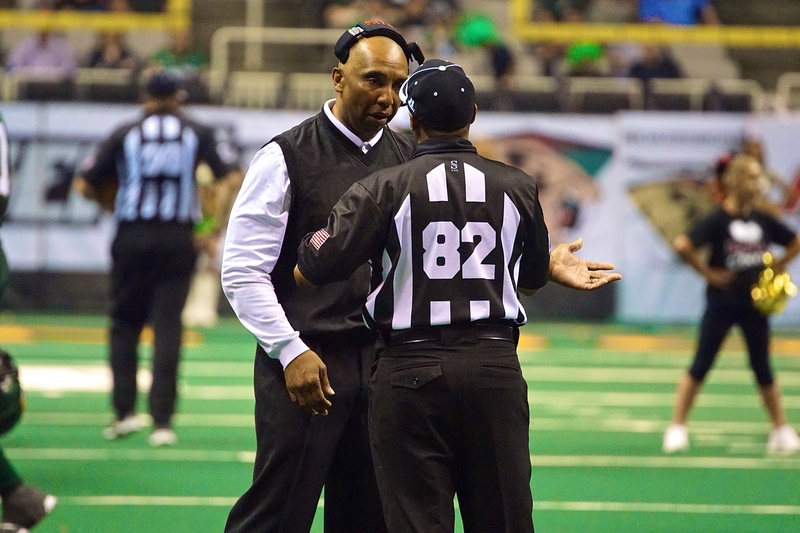 The SaberCats would force a turnover on downs of their own, eventually scoring on a six yard touchdown pass from Meyer to veteran receiver Ben Nelson, making it a 20-14 score with 6:37 remaining in the first half. Meyer completed 34-of-50 passes for 284 yards for eight touchdowns. In the final minute of the half, Jared Perry would add a 24-yard touchdown reception and Lacey would grab a 10-yard touchdown reception, extending the Thunder lead back to 20 at 34-14. Perry finished with a game-high 13 receptions for 156 yards, adding two touchdowns. The roller-coaster of momentum swung back the SaberCats way when Gray returned the kickoff 48-yards, down to the eight-yard line with 12 seconds remaining. 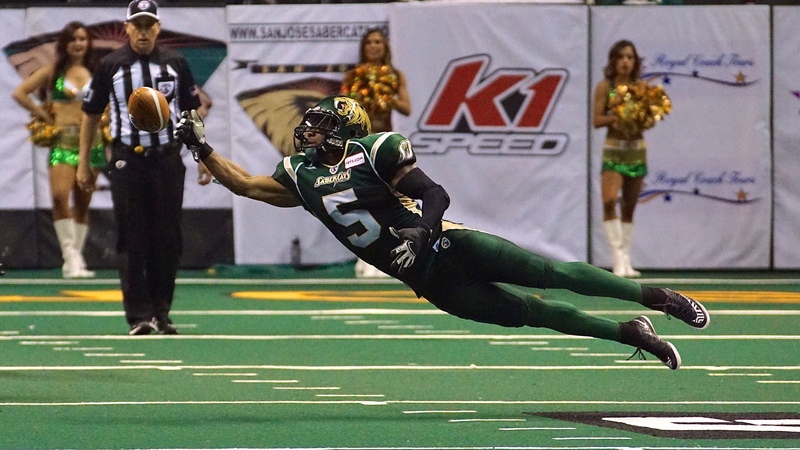 Gray would finish the drive with a 4-yard touchdown reception as the SaberCats trailed at halftime for only the second time this season at, 34-21. Coming out of the break, the SaberCats would march down the field from the three yard line, scoring on a 19-yard touchdown reception by Darius Reynolds. On the ensuing drive, Fontenette would intercept Rowley for the second time in the game, providing the San Jose offense with possession inside the red zone. 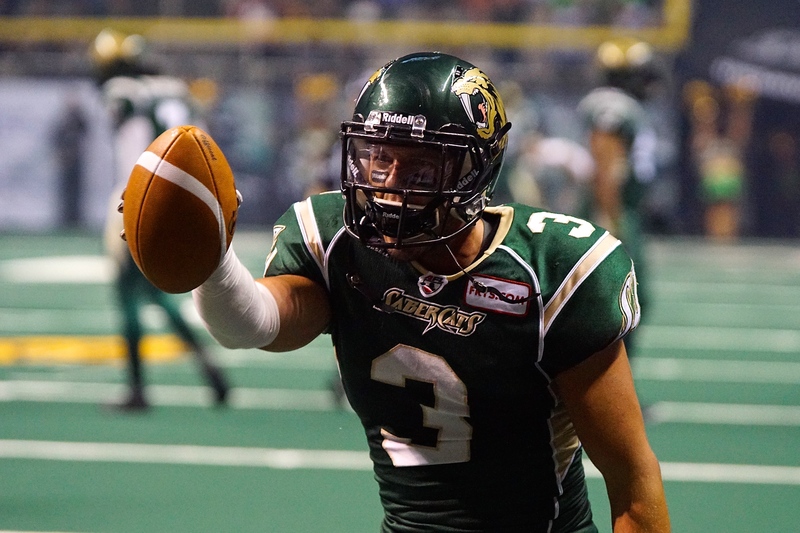 The SaberCats top ranked scoring offense capitalized on the great field position, with Gray hauling in a 2-yard touchdown reception, giving the SaberCats their first lead at, 35-34 in the third quarter. 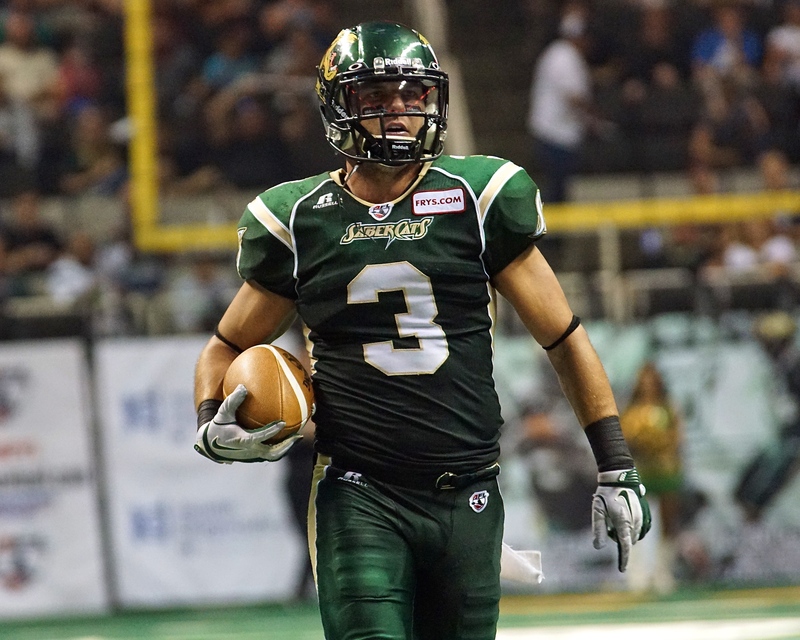 With his fourth touchdown of the game, Gray broke a SaberCats franchise record for most receiving touchdowns in a season with 41 and gave San Jose a 42-41 lead. “Big Play” Reggie Gray finished with a team-high 14 receptions for 130 yards and four touchdowns. After Nelson grabbed his second touchdown of the game, Portland answered with a 6-yard pass from Rowley to Lacey, also successfully completing the two-point conversion to tie the game at 49-49, the mark that would stand until overtime. 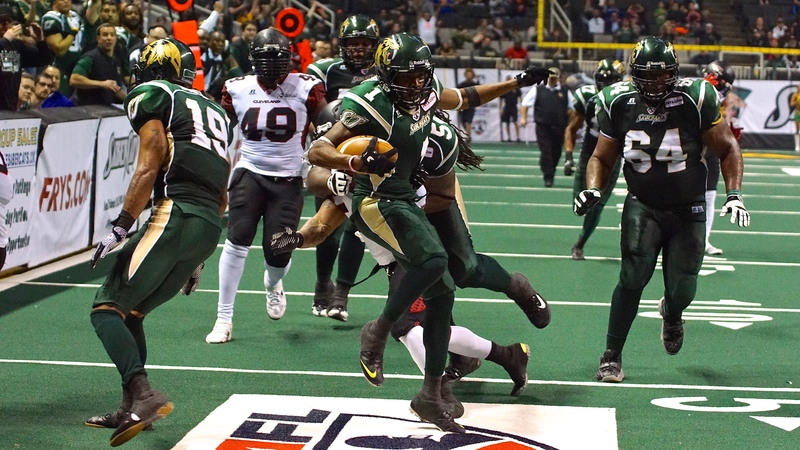 The SaberCats enter their bye week before hosting the Arizona Rattlers on Friday, July 31st, in a National Conference showdown on CBS Sports Network and 1220AM KDOW.